Got introduced to this artist by a great friend of mine. I value all of the music that he sends my way. Enjoy my loves…cause I did. 23 more Republican Senators (edit: now 19!) to go! Senator Rand Paul recently endorsed Mitt Romney on the Sean Hannity Show on FOX. Does this make him a sell out? Or did he compromise politically to advance liberty? Watch Senator Rand Paul (R-Ky.) teach Treasury Secretary Tim Geithner a thing or two about basic economics in the video below. Rand Paul explaining what F.A. Hayek called “the Pretense of Knowledge” is music to my ears. Geithner should take some notes. Last week, Sen. Paul along with Senators Lee and DeMint released a plan that would balance the federal budget within five years. It would do so by eliminating entire departments and not increasing taxes by one cent. By the year 2016, we would have a $19 billion surplus. The Cato Institute has posted helpful charts to show the difference between Rand Paul and President Obama’s budget. We applaud Rand Paul for staying true to his word. In addition, Sen. Lee has proposed a balanced budget amendment to the Constitution to limit spending to 18 percent of Gross Domestic Product (GDP) and require that any effort to raise taxes would need a two-thirds majority vote in both chambers. As it currently stands, government spending consumes approximately 25 percent of our GDP. These are both modest proposals to rein in federal spending. With our current national deficit at $1.7 trillion, it is radical to continue spending at unprecedented levels. It’s time to determine who is truly serious about cutting government spending. Call your senator and tell him or her to restrain the federal government by supporting Rand Paul and Mike Lee’s balanced budget proposals today. Most of us are likely to remember where we were when a national tragedy happened. As for me, I’ll always remember where I was when I heard that ObamaCare had passed the House of Representatives and was headed for President Obama’s desk. On March 21, 2010, I was sitting in the back of a crammed pickup truck from Kentucky en route to my home state of Maryland. A group of us decided to drive over nine hours to spend our entire college spring break campaigning for a long-shot senate candidate by the name of Rand Paul. During our days of walking door to door in Louisville, we met many people who expressed outrage over the proposed government takeover of our health care system. Two days later, ObamaCare was signed into law against the will of the majority of Americans. At the FreedomWorks office, my phone rang off the hook with people asking what they could do to get involved. Some of them told me that they had never been involved in politics before but they wanted to let their voices be heard. They gave me immense hope that the fight still wasn’t over. A Rasmussen poll released that week showed that 55 percent of Americans favored repeal of ObamaCare. It’s been a grueling battle. Government health care officials told us that we would soon embrace the new health care law. A year later, support for ObamaCare repeal hasn’t died down. The newest Rasmussen poll shows that 53 percent of likely voters still support ObamaCare repeal with 43 percent strongly favoring it. One of the continuous messages at Tea Party rallies across the nation is to stop the government takeover of health care. Even in its early stages of implementation, ObamaCare has already done damage to our economy and way of life. Due to a provision that insurance companies must charge the same rates for healthy and costly sick children, nearly every major insurance company has ceased offering child-only policies. Employer penalties in the law have led some major companies such as 3M to stop offering health benefits to retirees and low-income workers unless they are granted an exemption by HHS. Since December, two federal district judges, in Virginia and Florida, have declared Obamacare’s individual mandate requiring all U.S. residents to purchase health insurance to be unconstitutional. On November 2nd, the American people’s voice was heard at the ballot box. A total of 35 Democrats who supported ObamaCare were defeated. This has increased the opposition to ObamaCare in the House by nearly 16 percent. While the fight may be far from over, we can get this unconstitutional government takeover repealed through hard work and determination. We won’t stop until the repeal bill lands on President Obama’s desk. It may be a year later but our voices are louder than ever. Let’s make sure that ObamaCare doesn’t get a second anniversary. I have been sitting here for the last hour trying to figure out how best to describe Egapia. Wet crafts songs that have an electronic music appeal whilst at the same time combining electronica and this open aromatic (hard to describe) feeling. Egapia is your new Dj artist from Argentina. I’m sure you’re all aware that Daft Punk is the next best thing since kung-fu and karate, but are you completely familiar with Giggsy yet? If you aren’t completely familiar of this new artist, then now is the time to soak it all in through musical osmosis! The water drop samples will surely help in the process on Giggsy’ tunes! Talk about teasers! 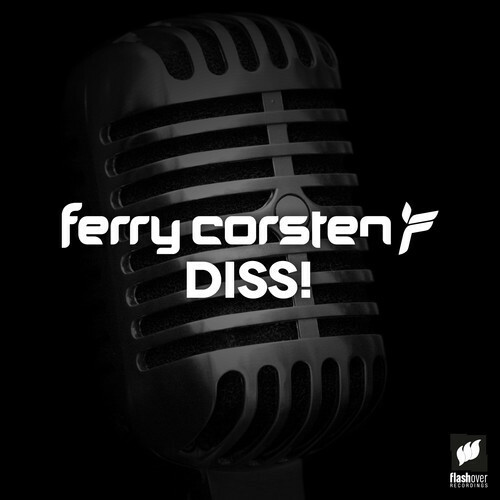 Ferry Corsten, listed as the 15th richest DJ by Forbes, releases this teaser to his upcoming track “Diss!”. You don’t even need to hear the whole thing to know this will be good. Yeah! I’m so glad to welcome you today…!